Satisfaction, Guaranteed at ebm-papst Inc. The main objective of a Regional Sales Administrator (RSA) is to ensure 100% customer satisfaction for all of our current and potential customers. Each RSA works with a member of the Sales Team to cover customers in a specific geographic territory. Their jobs change daily, depending on what our customers need. 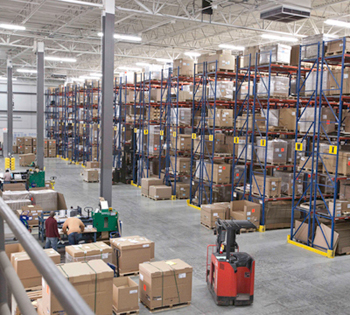 At any given time, the RSA Team could be on a conference call with a customer or out in our warehouse. 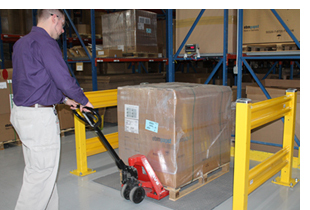 The RSA and warehouse Logistics Team work together very closely to ensure their orders are going out on schedule and shipping the correct method the customer requires. The RSA works with our international purchasing team to schedule deliveries from our factories based on customer needs. RSAs also work with the Quality Department to manage returns. When a new project comes up, RSAs work closely with our Application Engineers to make sure the customers get the product samples they need. RSAs work with our Planning department to make sure all Value-Added orders are on schedule. A big part of the day is discussing the customer’s activities with their appropriate Sales People. The RSA might need to adjust orders, expedite parts, discuss new customer details, and add new customers to the system - anything that ensures customer satisfaction. As technology changes, we provide our RSA team with training that will keep them up to date with the latest and greatest information. Developing relationships with customers are a top priority for ebm-papst. We strive to make sure customer service is giving personal attention to the needs of each of our customers. The RSA team works every day to continue growing those relationships that our business is built on.